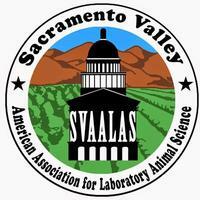 As you may know, the Sacramento Valley and Northern California branches of AALAS are hosting the 2020 District 8 AALAS Meeting. The Meeting is about a year and a half away so planning needs to begin as soon as possible. As you can imagine, hosting the District 8 AALAS Meeting can be a daunting and challenging task that takes an enormous amount of work. However when that work is spread out over many volunteers, the task becomes much more manageable. So I’m pleading and begging for volunteers! All kidding aside, if you are interested in helping out, we would be happy to have you join our planning committee. You don’t have to be an expert in any area to help out. Believe me, we’ll put you to work! The D8 Meeting Planning Committee is comprised of the D8 Meeting Chairperson (Meeting Chairperson), Program Chairperson (with applicable section chairperson), Commercial Exhibit Chairperson, Registration Chairperson, Treasurer, Local Arrangements Chairperson, and Publicity Chairperson. Additional areas are: Speakers; Registration; Audiovisual; Workshops; Catering; Branch Kiosk; Posters; RACE CEU’s; and Awards. All Chairpersons’ must be branch members, involved in the field, have institutional support, and be accessible by telephone, e-mail, or fax. The committee may combine any of the chairmanships as appropriate to their needs. Please contact Roy Hoglund or Emily Slocum as soon as possible if you would like to participate on the D8 Meeting Planning Committee.